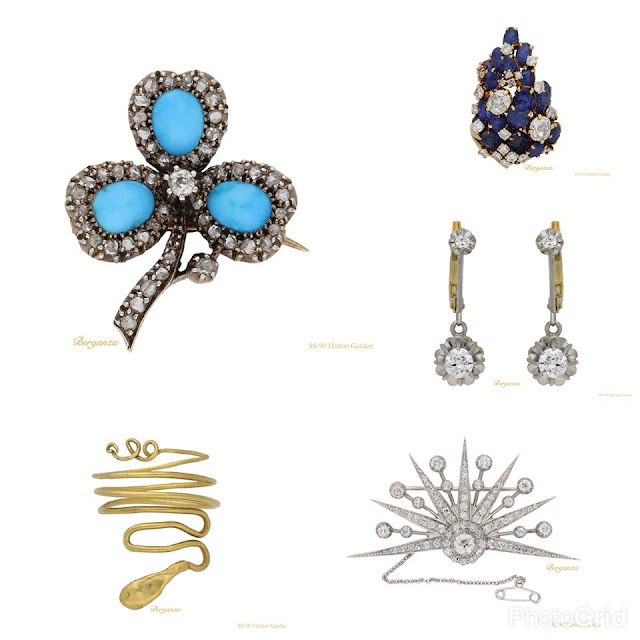 Trials & Tribulations Of A Brummie Mummy: Are You A Fan Of Vintage Jewellery ?? Are You A Fan Of Vintage Jewellery ?? I'm a massive lover of Jewellery, who doesn't love a bit of sparkle. The past few years I've had some stunning pieces hanging up, but I've been so worried about the weight I had put on that all of my Jewellery has taken a back seat. Now I'm down three stone I'm ready to shine and find even more sparkles to add to my collection. I've made it a resolution to wear something jewellery wise everyday. I'm going to start hounding some charity shops as I would love some more vintage pieces in my collection. I have this stunning vintage gold locket, which was my dads aunties. Which got past down to me a few years ago. It's a simple piece and it's really light. I'm a bit frighted to wear it in case I lose it, as it hold that special value to it. It's nice to have something to hold on to and look back on. My nan gave me this bow brooch, which I've had sitting in my wardrobe for years and years. I had totally forgotten about it so it's been added on to my coat. Berganza antique jewellery have some stunning statement pieces. Perfect for a special gift, birthday or even an engagement. I've selected five pieces that caught my eye on the site. Victorian turquoise and diamond clover brooch, circa 1850. Ancient Egyptian snake ring, circa 30BC-323AD. Sunset diamond brooch, circa 1840.